It has been universally accepted that slimmer and defined faces are portrayed as beauty. Not everyone has slender faces and perfect jawline like Kim Kardashian to Jessica Alba. but the power of make up can significantly create the illusion of slimmer faces. Click here for video on How to contour and look 10 lbs skinnier. 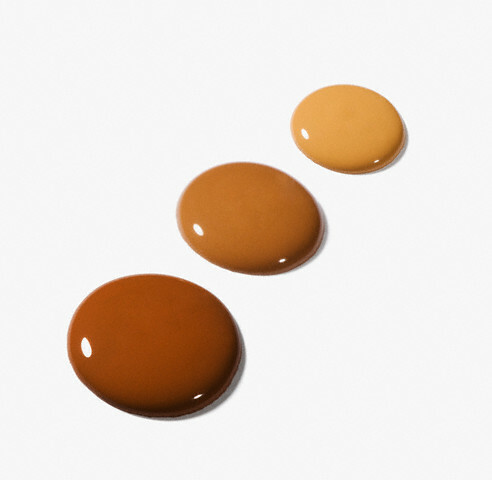 The key to a slimmer face starts with the foundation. Choose a foundation colour 2 shades darker for the outer perimeter of your face and the lighter foundation on the inner portions of your face to create highlight and shade. Your eyebrows frames your face and complement your face shape. Having arched eyebrows will draw your attention to the arch and detract from a round face. A sharp arch will balance out the roundness of the face with its angularity. Bronzers often have glitters that reflect light and draw attention. 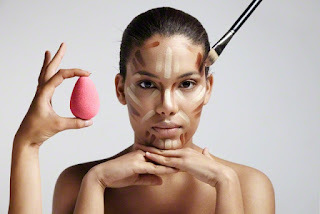 The purpose of a contour is to recede and shade certain portions of the face. Using a matte contour powder in the right areas of your face such as in the hollows of your cheeks, along the sides of the nose, along the jawline and on the sides of your forehead can drastically slim your face. Remember to blend it seamlessly with a beauty blender or brush when applying. Highlighter does the opposite of contour, it protrudes areas you want to emphasize to add dimension to your face. The highlighter can be matte or shimmer but should be placed strategically in the center of the forehead, on the tops of your cheekbones, down the bridge of your nose, and down to the cupids bow and below the lower lips. Highlighters do not need to break the bank. Here are top 5 highlighters for less than $5. The placement of the blush can also create the illusion of a slimmer face if it is used like a contour. Instead of placing the blush on the apples of the cheeks, apply it slightly above your contour in a diagonal line from the middle of the cheeks upward towards your ears.